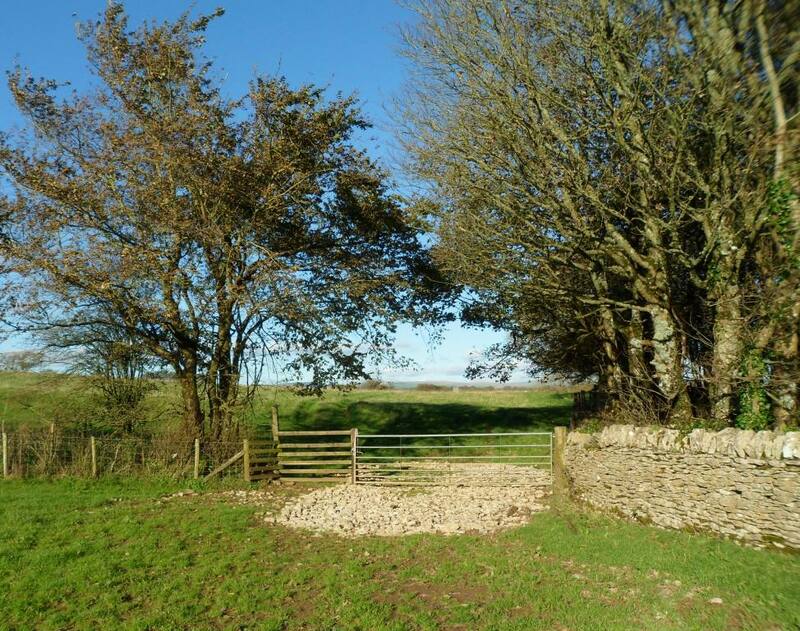 Having got the Galilee Project all wrapped up, Gareth Kiddie and the Llanilltud PCC are now working on a trail from Llandaff to Margam, linking the sites of some of our major collections of early medieval inscribed stones. The route across the Vale of Glamorgan is pretty much sorted thanks to the Valeways project, and I think we have a reasonable route from Llandaff to St Fagans (the new home of the National Museum’s collection of stones and casts). More on that at http://heritagetortoise.wordpress.com/2013/10/06/faith-tourism-faith-in-tourism/ . So that leaves Merthyr Mawr (a bit more on that at http://heritagetortoise.wordpress.com/2013/07/22/llancarfan-and-merthyr-mawr-faith-in-heritage/ and http://heritagetortoise.wordpress.com/2013/08/12/on-knowing-where-your-towel-is/ ) and Margam, where the collection of stones in Cadw’s little museum is justly famous. 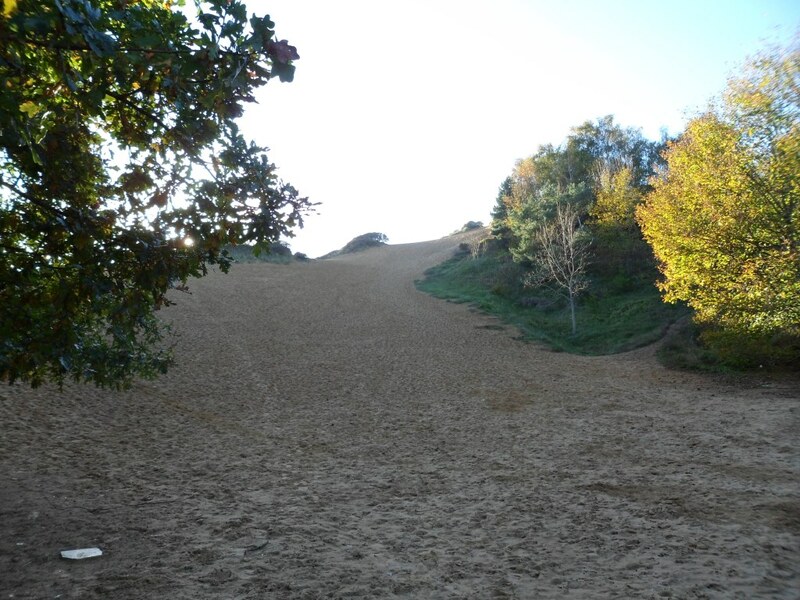 But if you go over the little bridge opposite the castle, the bridleway up through the sand dunes is steep but easy to follow. and turn left on a stony lane to Tythegston. 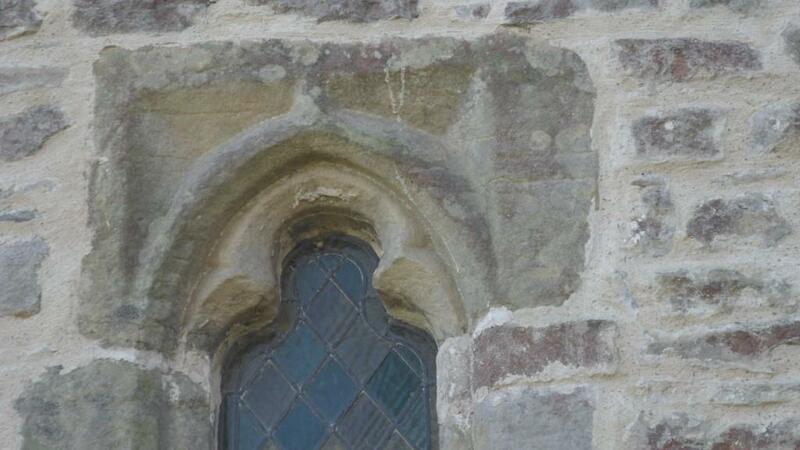 And if you look very carefully at this stone over the north window of the chancel you can just see the shaft of the cross on a later medieval tomb slab. Walk past the cross, turn left on the main road and right immediately along a road marked ‘Unsuitable for motor vehicles’. 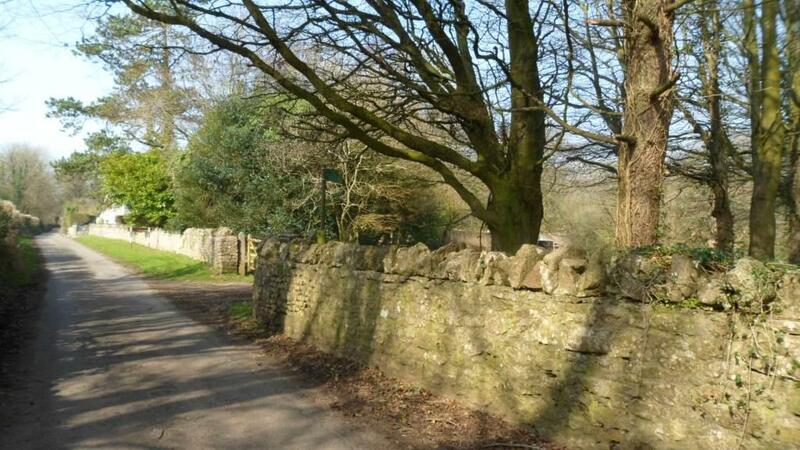 In a few hundred yards, where a drive goes off to the right, take the waymarked footpath sharp right. The road isn’t too much of a problem – there is a pavement and a central reservation which makes crossing easy. 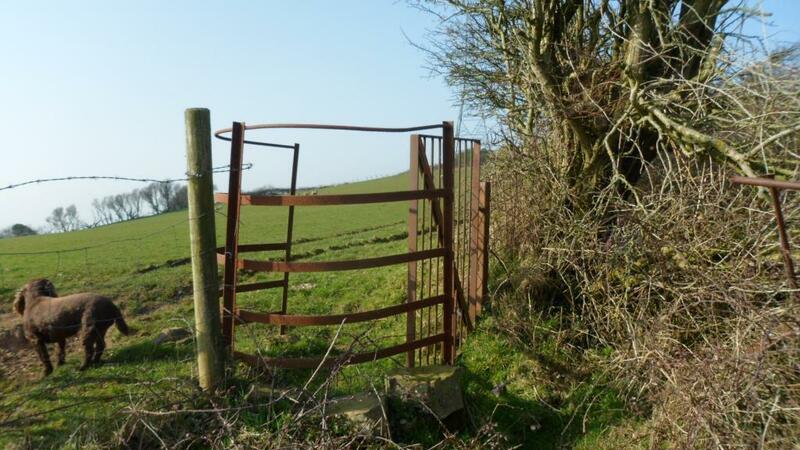 In a few hundred yards there should be a stile on the other side and a footpath across the fields to Upper Park Farm. 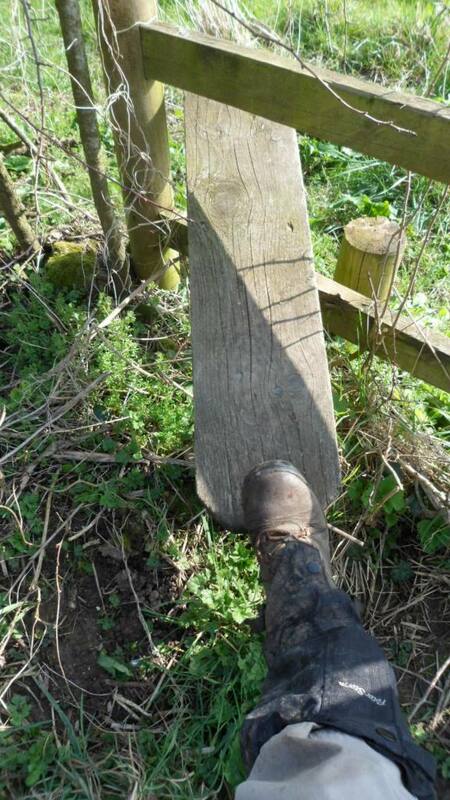 There has been some clearance here but the stile is heavily overgrown and unsafe. but how to get to it? And how to get through the lake beyond it? We went back to the road. The bridleway north of Stormy Down looks clear – we need to see if we can get to that from south of the motorway. 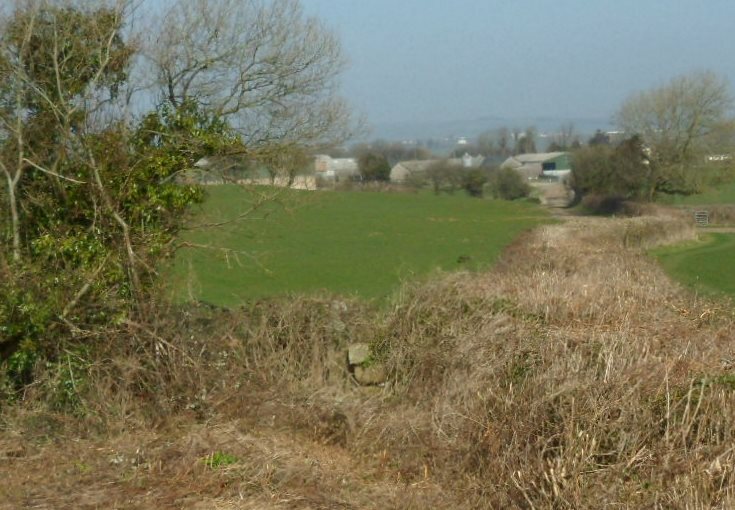 Walk along the minor road and across the railway line. When a track turns sharp right, take the waymarked footpath ahead to the right. Walk up the field, bearing slightly to the left of the hedge (and keeping to the left of the pylons) to go through a gate. You need to keep to the left of the bench mark and bear left down the slope to a lane between the houses, then turn left on the road. In about 200 yards, just after the church, turn right down School Road. This becomes a metalled lane and goes down steps. Continue straight on. Victoria Road becomes Crown Road. When the road bears right, take the footpath to the left, across a little bridge and up to cross the railway. 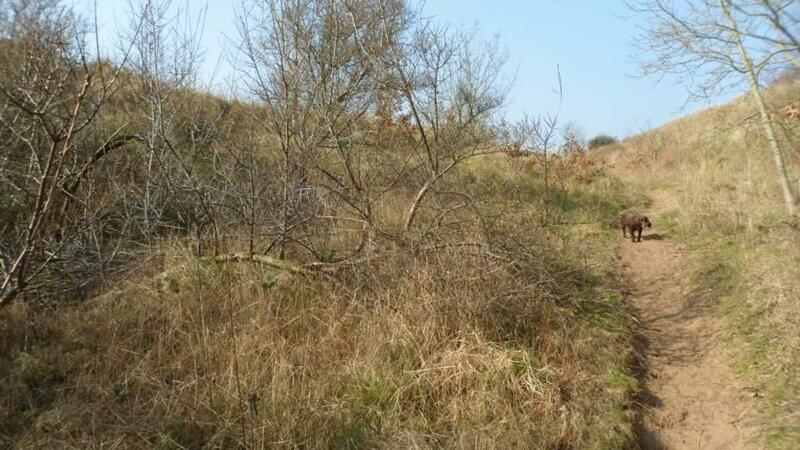 Bear slightly right across the next field and follow the track along the edge of the fields up to the road. Ahead of you is Hafodheulog Farm. This was one of the granges of the Cistercian abbey at Margam. The name means literally ‘The sunny summer farm’. 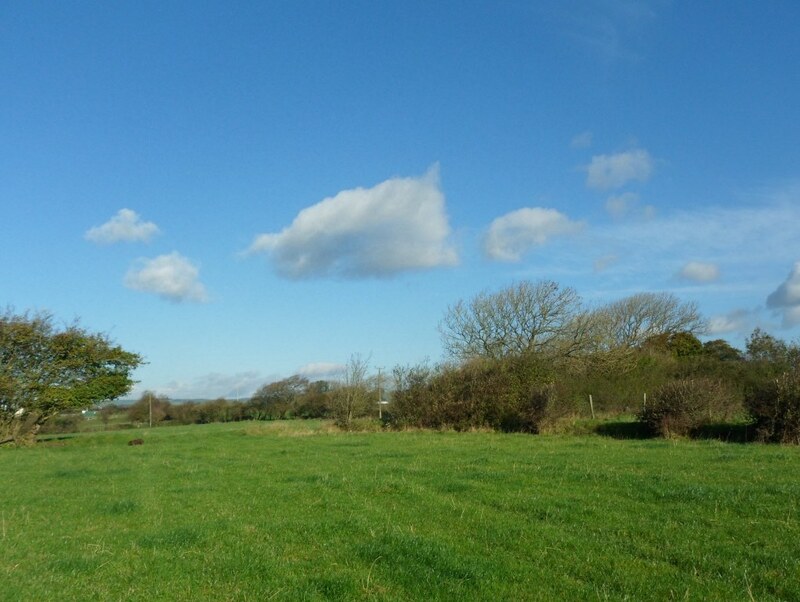 Hafodheulog is on higher ground that the granges at Llangewydd and Horegrove, and you can imagine the lay brothers bringing the herds up there in the spring. 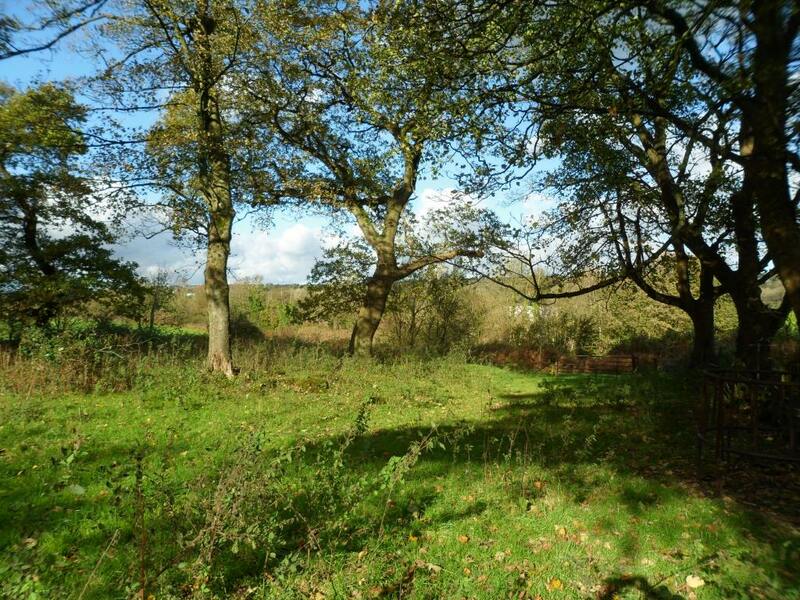 In the woods behind the farm is an even more remote grange, Hafod Deca, where they could have pastured sheep in the summer. 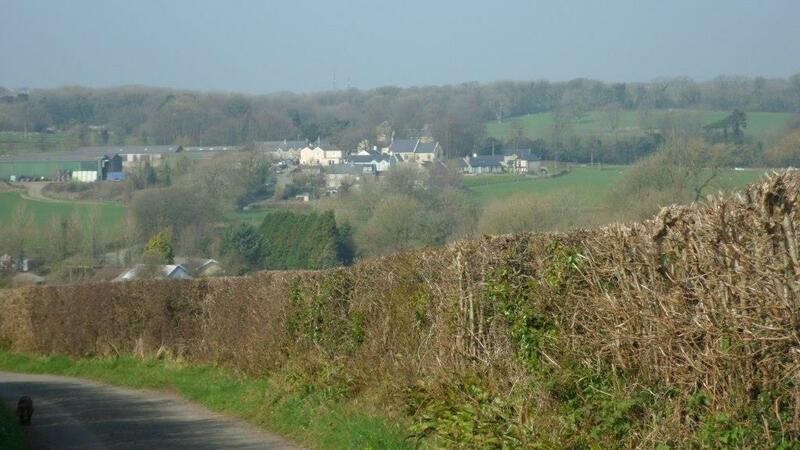 Llangewydd, Horegrove and Hafodheulog are still substantial farms but Hafod Deca is a ruin in the forestry plantation. I have a memory of finding the ruins when I was walking up there twenty years ago but they are nowhere to be seen now – did I imagine it? Take the lane to the left of Hafodheulog, go over the stile at the end and bear slightly left across the field to a stile (heavily overgrown when we were there, and the waymark in need of attention!). From here we walked up the lane past Pentre Farm but it was very difficult to find the footpaths to the left of the road. There has been a lot of felling in the forest, and the forest roads are in poor shape after a very wet winter. You have to cross the Cynffig river and there is no footbridge, just a ford. 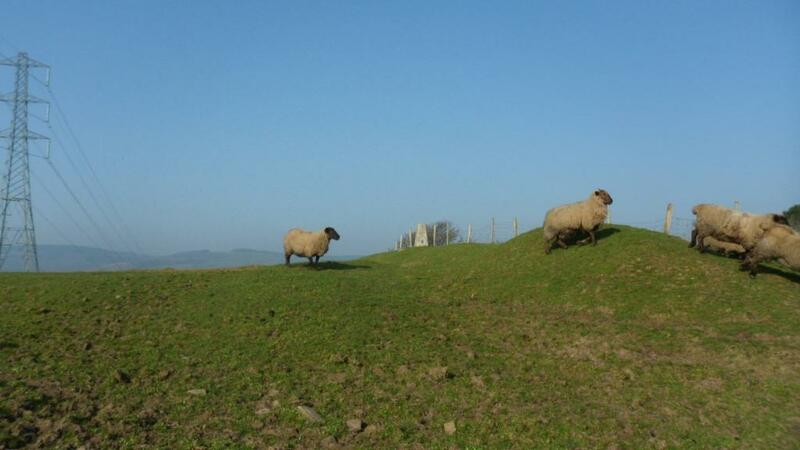 We may have to rethink this bit as well: you could go left after the overgrown stile and walk up the lane to Troed-y-rhiw Farm. From there the track along the edge of the forest and across the fields is fairly clear, though it may need to be kept clear in the summer. 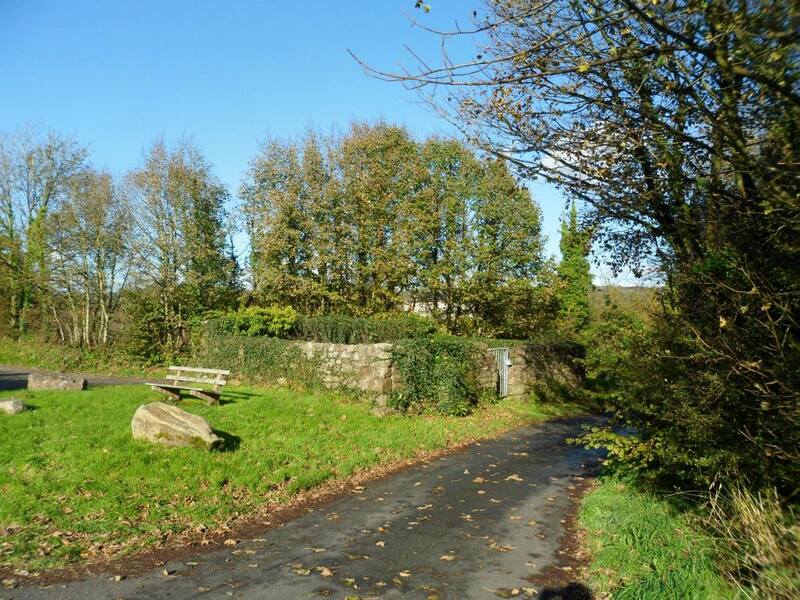 The track goes behind Graig-goch and into Margam Park, and you can follow a footpath across the park and out on the road from the Crugwyllt ridge down to the church and the Margam Stones museum. One fine day a fortnight ago – so we went out with Laleston Community Council, Bridgend CBC’s footpaths maintenance officer and Chris Jones-Jenkins who is doing the reconstruction illustrations, for another look at the proposed Merthyr Mawr and Laleston Stones trail. The footpath across the fields to Laleston and up to Llangewydd worked well and Chris had some very pertinent questions about the appearance and function of wayside crosses, the ‘look’ of the church and village at Llangewydd and the possible location of the ‘castle’ (was it ever more than a fortified residence?). But the walk back across the fields towards Candleston was tricky. The main road crossing was clearly dangerous (why is it so much worse crossing at that point – the crossing on the way to Laleston is usually OK?). The gates all sat in small lakes, and there was standing water across the path. Cara obligingly waded in and the water came to her shoulders so we didn’t bother. 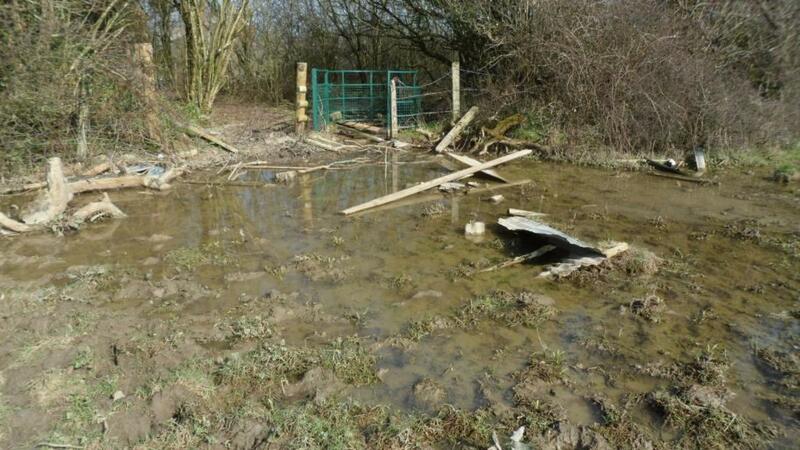 In any case there was a fence blocking the path beyond the mini lake. 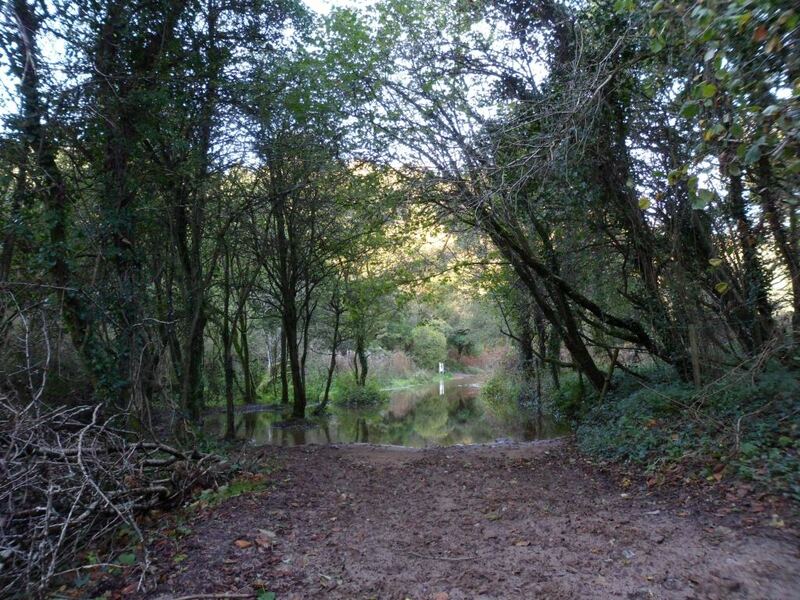 We decided to avoid the path to Candleston because it tends to turn into a river, but the alternative path back to Merthyr Mawr was even worse. 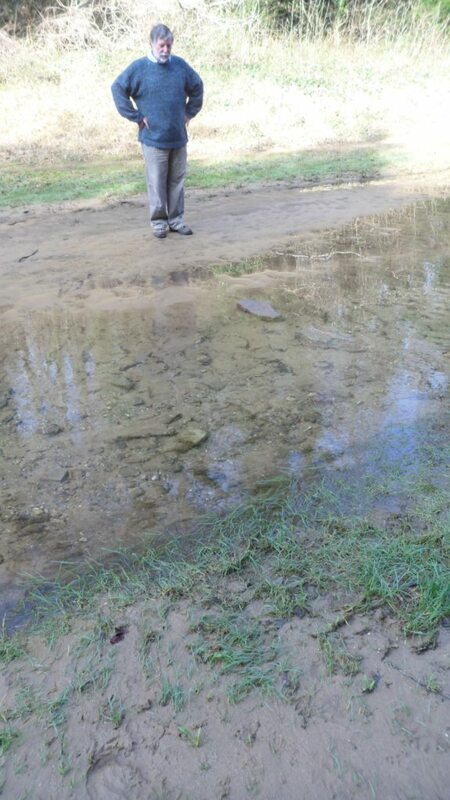 The small ditch at the side of the field had turned into a 2-foot deep torrent. 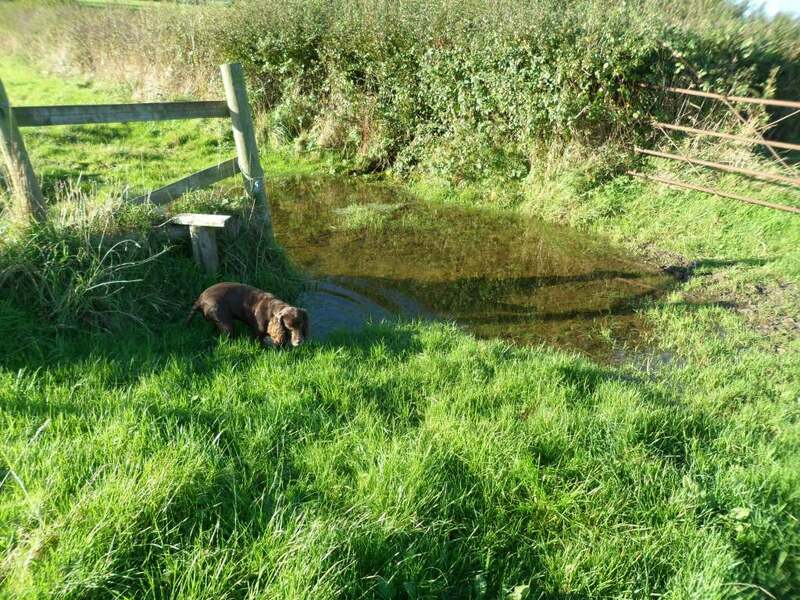 We jumped, scrambled, traversed fences … there were waymarks and stiles all the way but that isn’t much help when the stile is sitting in a foot of water! On the other hand we all had a great time. But it clearly isn’t a walk for the inexperienced or faint-hearted. The community councillor suggested we look again at walking back along the Ffordd y Gyfraith: apparently it’s being closed to traffic at one point to enable it to be used as a walk-to-school route, so it would make a nice safe walk. There was another fine day this week so Cara and I went out for another go. 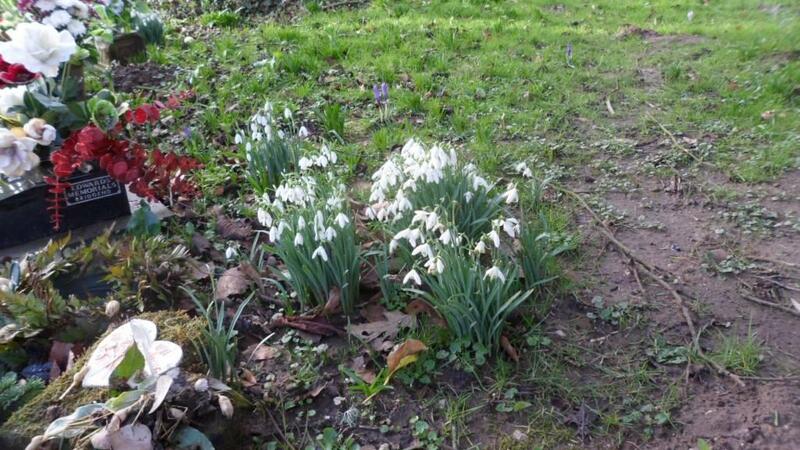 The sun shone and there were snowdrops and crocuses in the churchyard at Merthyr Mawr. 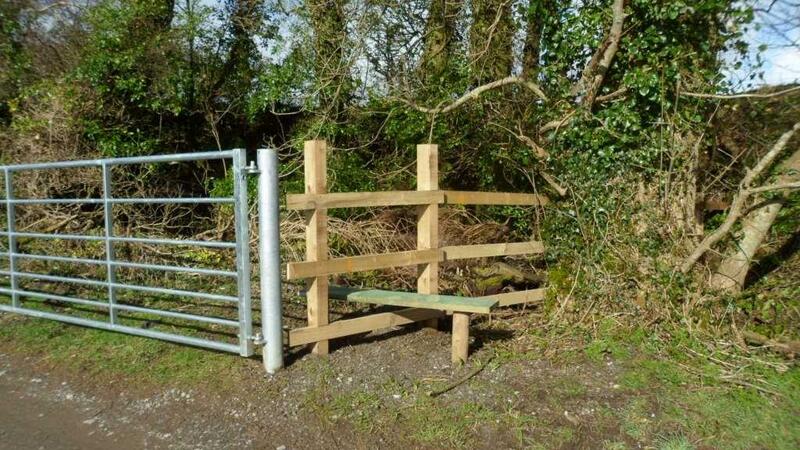 The lane to Whitton Farm has a nice new gate and stile. This time we walked over the fields and straight on to Laleston village. 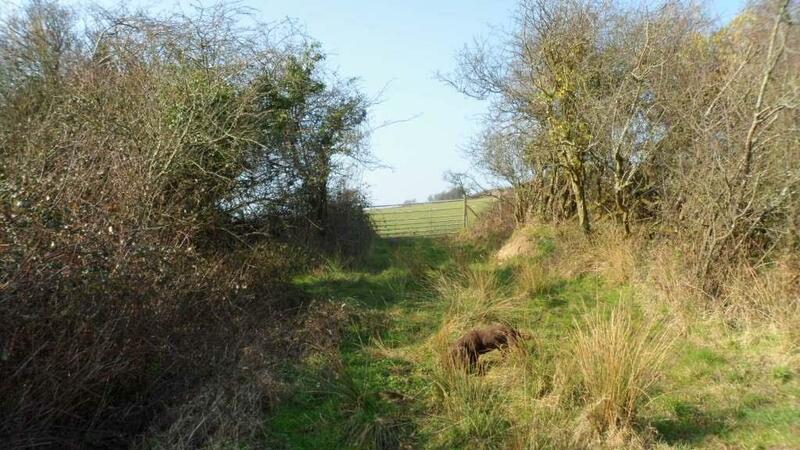 The footpath goes along a very long narrow field – could this be the remains of the strip field system? The lane from the church and across the fields to the Ffordd y Gyfraith is muddy but passable – then you can continue as we did before to Llangewydd but walk straight back along the Ffordd y Gyfraith, or for an off-road route turn off at the kissing gate by the housing estate and return to the original route across the fields. I still like the route past Candleston. You can bypass the lake and the blocked footpath, and once you get to the forest edge the path is good past Candleston Farm. But the track past the sand dunes was over a foot deep in fast-flowing water. We explored the horse track up the edge of the dunes. It’s not a good alternative at that point because you have to climb all the way up and go over a mile to the west before you can turn left and make your way south to the car park. 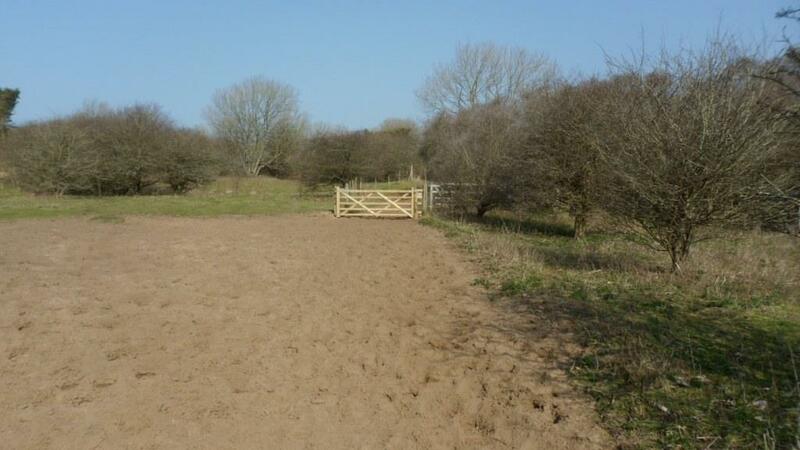 But you can get to the bridleway across the dunes from the top lane past Candleston Farm. It adds about 2 miles to the route but it’s a lovely walk across the dunes with views out to sea and over Ogmore Castle. So I’ve rewritten the leaflet and sent it off, suggesting a basic circuit across the fields to Laleston, up the Ffordd y Gyfraith to Llangewydd then back down the Ffordd y Gyfraith to Merthyr Mawr, with the Candleston route as a fair-weather option. 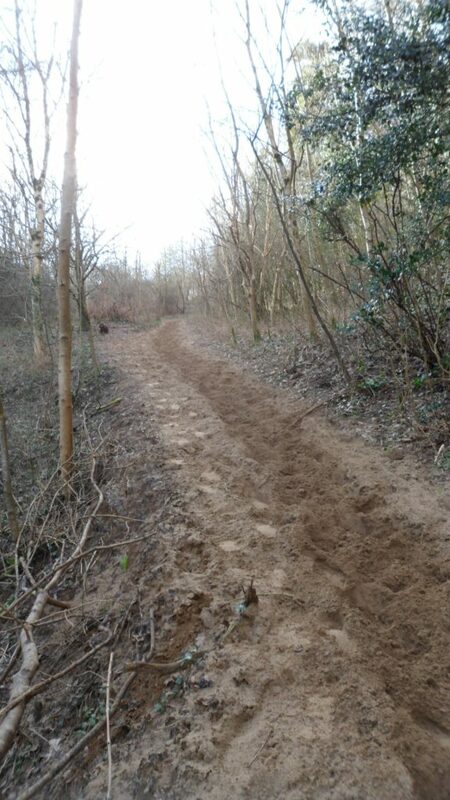 There’s still a bit of work to be done on stiles and waymarks but it should be in place by the summer. 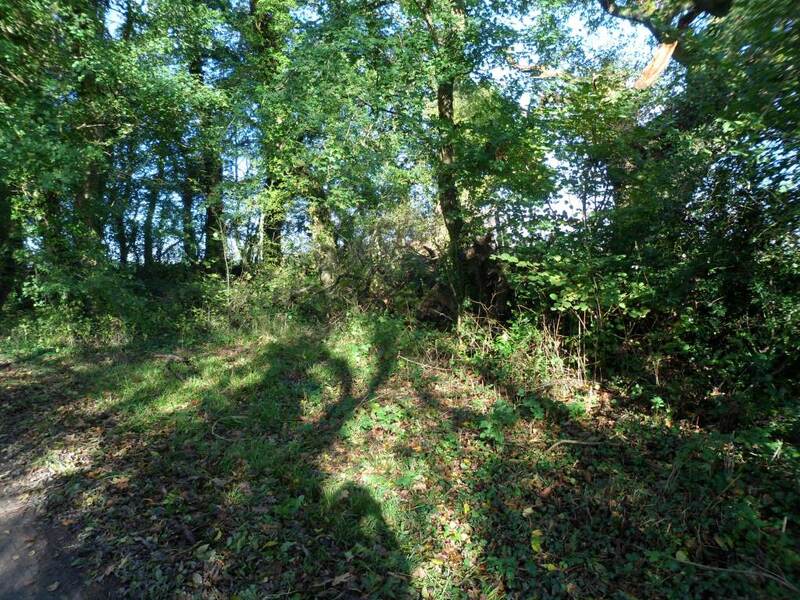 Laleston and Merthyr Mawr are planning a loop off the Wales Coast Path featuring their collection of Celtic crosses, later carvings and other heritage attractions. 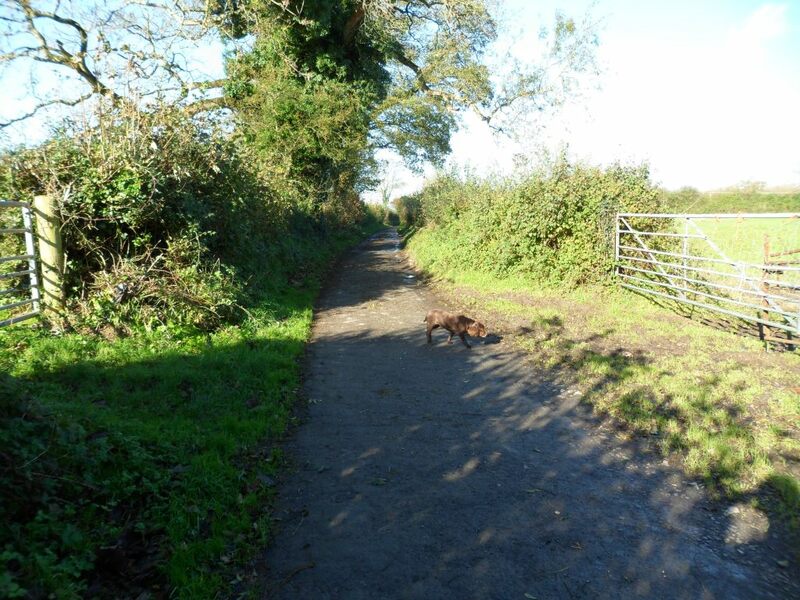 Yesterday the sun shone and it seemed like a good day for a walk … so Cara the Pilgrim Dog and I set off from Merthyr Mawr. The village is almost chocolate-box pretty with a little wedding-cake of a Victorian church. More on the carvings at http://heritagetortoise.wordpress.com/2013/07/22/llancarfan-and-merthyr-mawr-faith-in-heritage/ and http://heritagetortoise.wordpress.com/2013/08/12/on-knowing-where-your-towel-is/ . 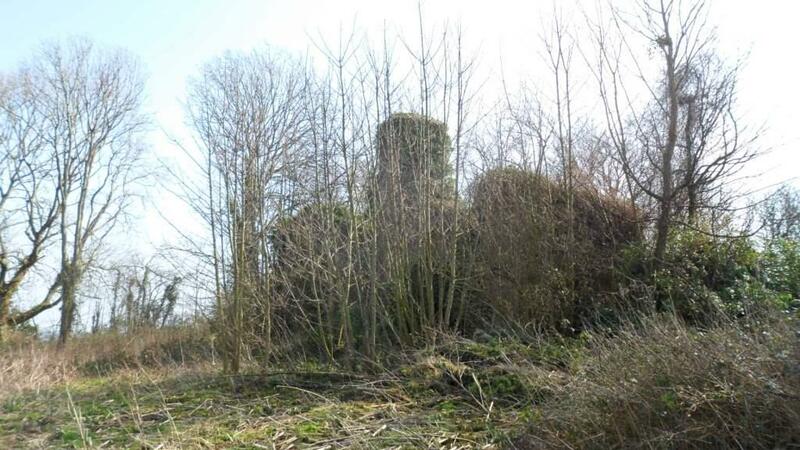 needs waymarking and a bit of attention! 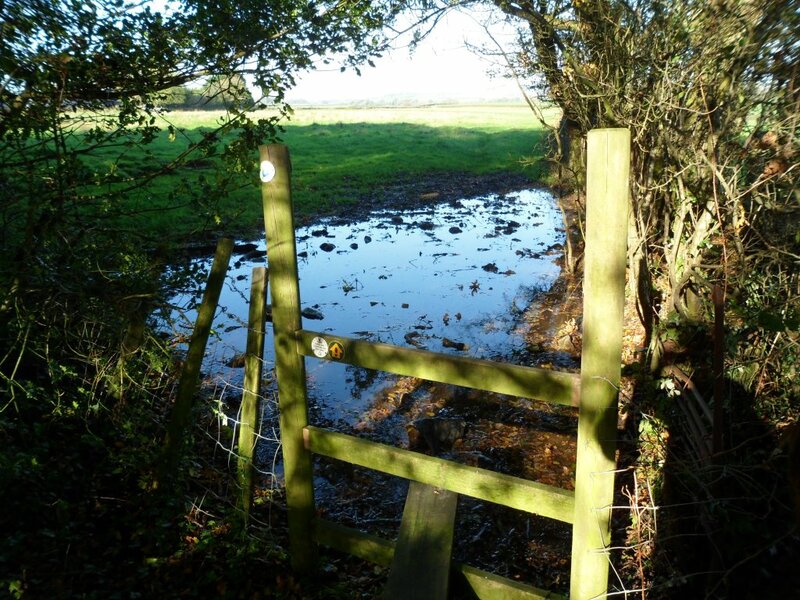 The puddle is probably the result of recent torrential rain but a lot of the gates and stiles have puddles and we may have to think about ways of dealing with this. where the line of the right of way on the map goes through two hedges but the path obviously goes through the gap. 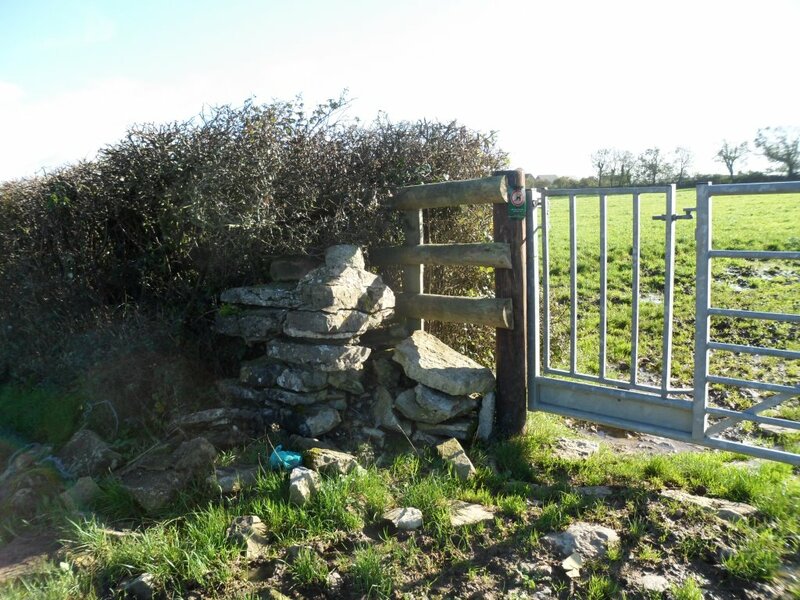 Emerge on the Bridgend bypass at 877 793, turn right, cross the road and through a good sturdy gate at 878 792.
where the path goes back to the right, then it’s straight on to the Ffordd y Gyfraith at 881 796. The Ffordd y Gyfraith is mostly very minor roads and tracks now, but in the Middle Ages it was one of the main roads through south Wales. The name means ‘The Road of the Law’. This was how soldiers and officials got from the western Vale of Glamorgan to the area around Llangynwyd. 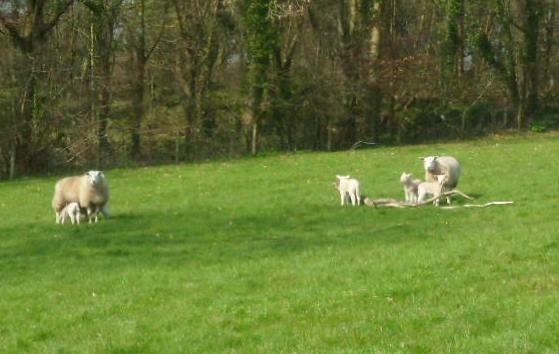 Llangynwyd was the Helmand Province of medieval Glamorgan (with my ancestors the Welsh lords of Afan as the Taliban). By the fifteenth century it was also famous for the carving of the Crucifixion on the rood screen of the church. Unusually, this may have depicted the two thieves as well as Christ. 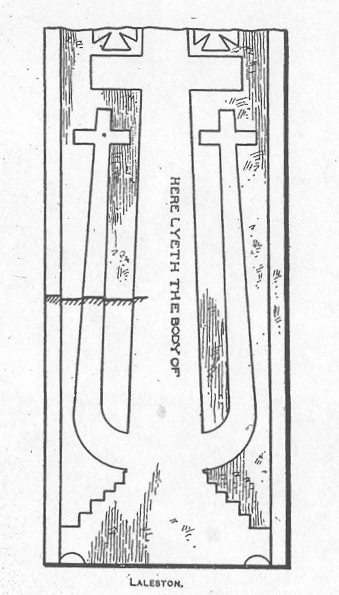 A medieval tombstone in the church at Laleston probably shows its design. The Ffordd y Gyfraith crosses the main Bridgend road at 881799, at the east end of Laleston village. 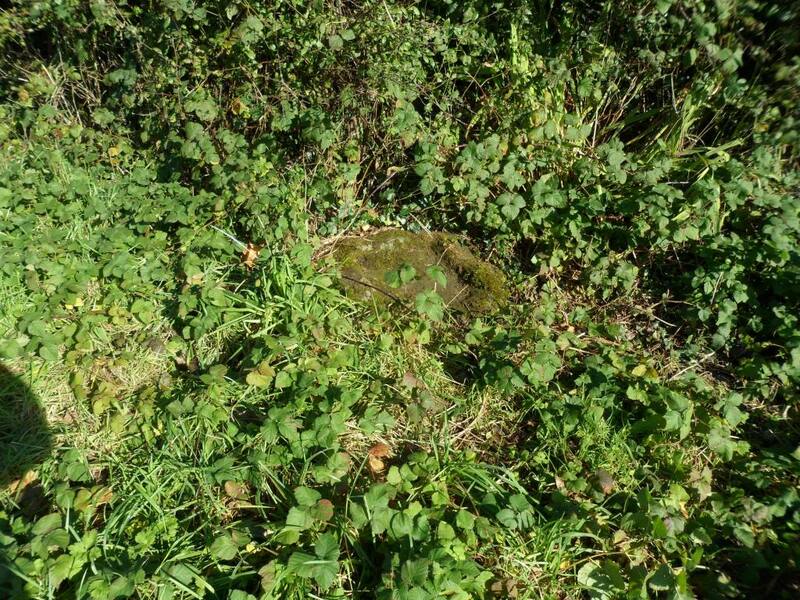 Almost buried in the roadside verge is the socketed base of a medieval wayside cross. 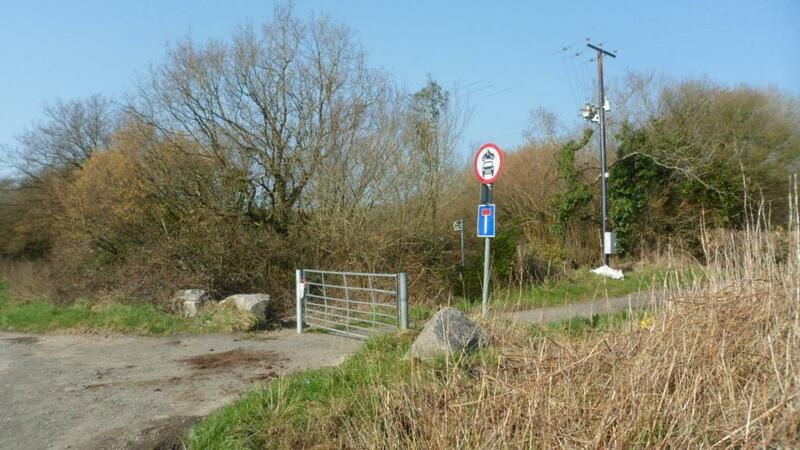 until you reach the crossroads at Cae’rheneglwys. 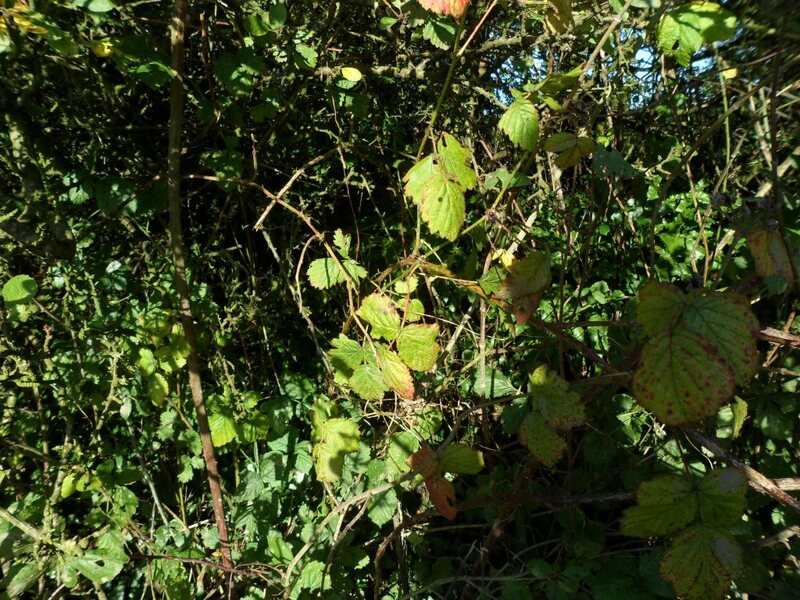 Here another wayside cross base is completely overgrown with brambles. 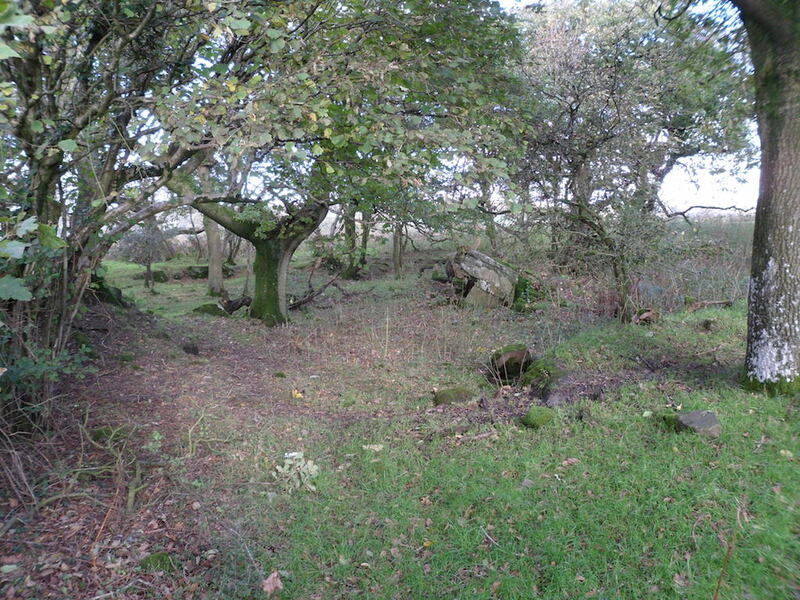 are all that remains of the medieval church and village of Llangewydd. 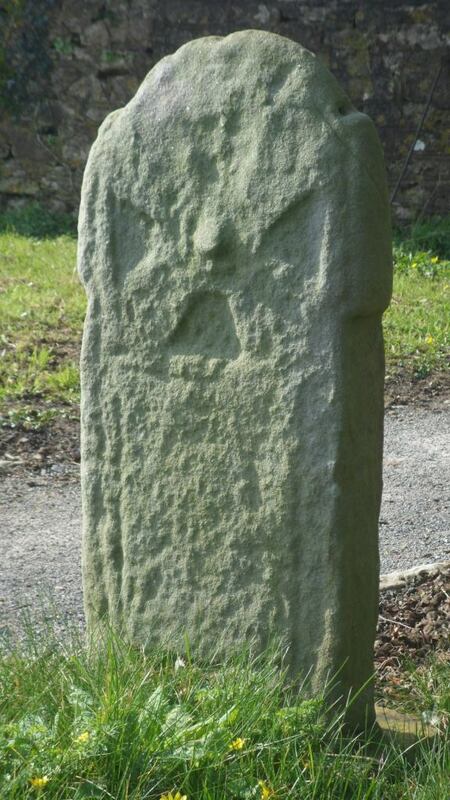 Two carved ‘Celtic’ crosses were found here and are now in the National Museum. 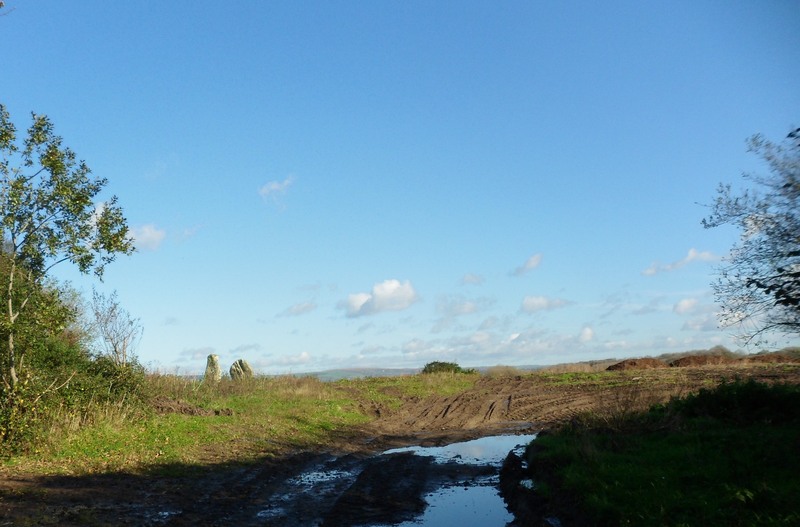 There are some more plain standing stones in the hedge to the left of the photo. 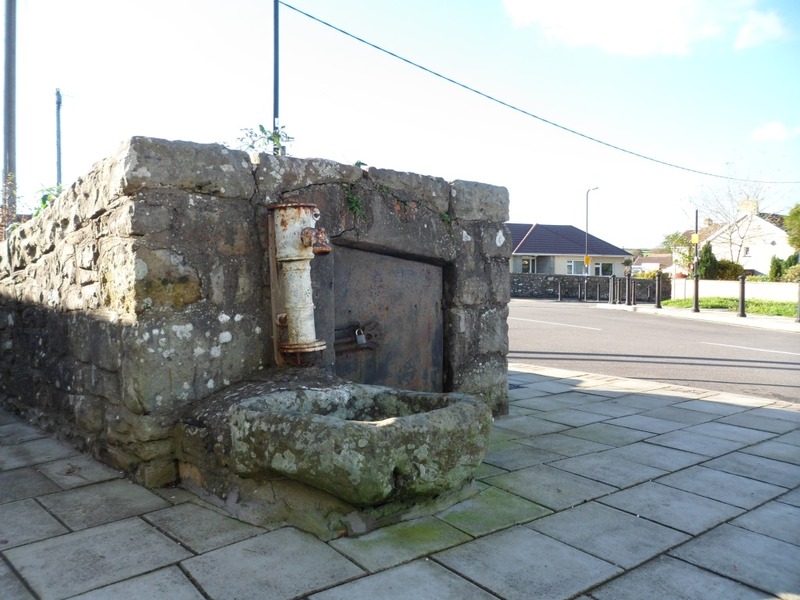 Unfortunately there is no possibility of public access to the field, but an interpretation board on the road will show what the church and settlement might have looked like. So what happened to the settlement – in a word, the Cistercians. This reformed religious order spread from France across Europe in the early twelfth century, reaching Wales in 1131. Part of their ethos was that they wanted to farm their own land by the sweat of their brows. They preferred to settle on unused land and bring it under cultivation themselves. But there was very little unused land in England and Wales – and when they were given land which was already being farmed, they sometimes used a combination of persuasion and moral blackmail to remove the tenants. 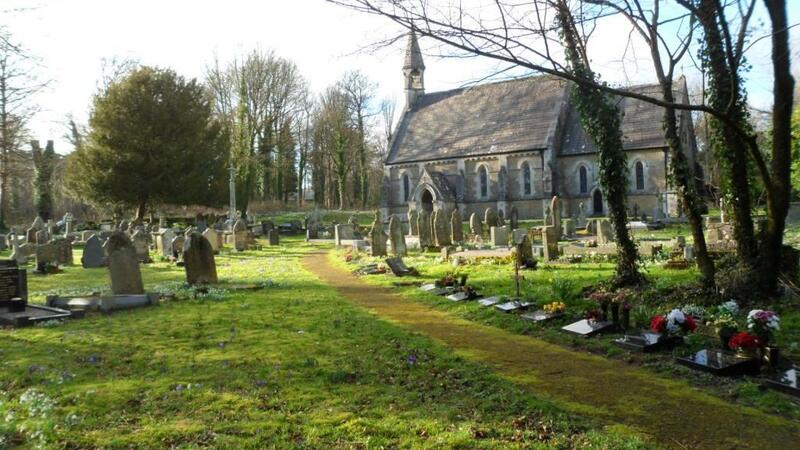 The Cistercian monks of Margam were given the land around Llangewydd in the middle of the twelfth century and within fifty years they had removed the church and the little settlement around it. At Cae’rheneglwys you turn left on a slightly wider country road then keep straight on past the old village pound at 872 813. To your right are the ruins of the monks’ farm buildings, now hidden behind a new house called The Grange. There should be another interpretation board here showing what the grange might have looked like. The road bends to the left – another sign of the power of the Cistercian order. They could expect that a major road like the Ffordd y Gyfraith could be diverted to pass round one of their granges. Go back to the pound and take the footpath to the south. 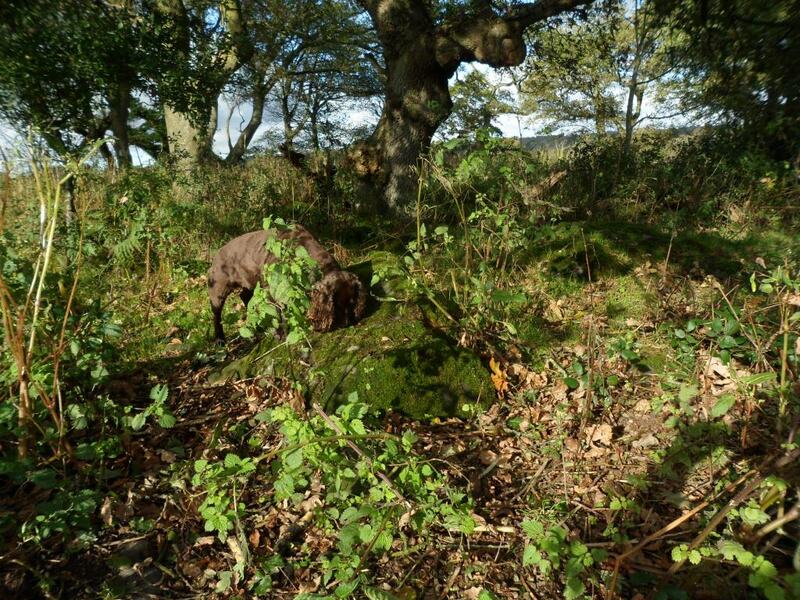 This area is marked as woodland on the map but it’s mostly scrub and bracken. 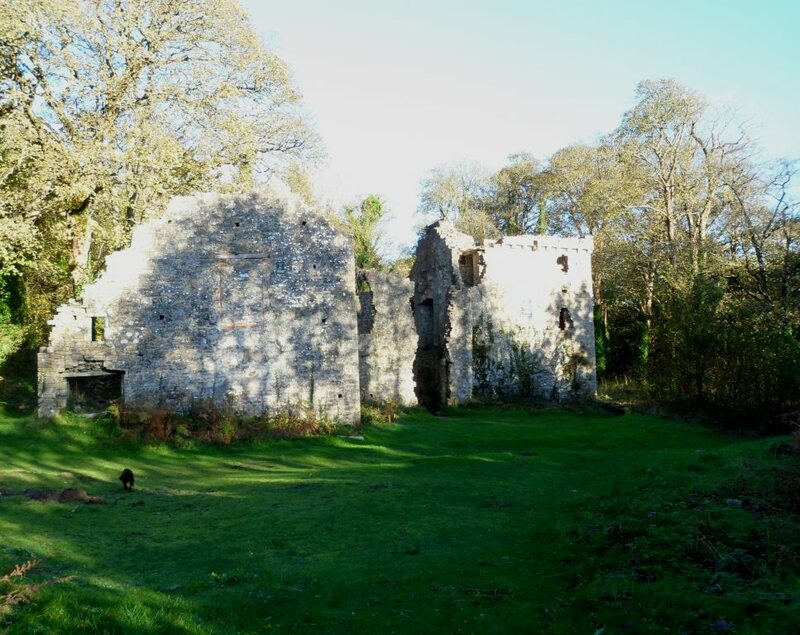 Some of the heaps of tumbled stone are geological, but some may be the remains of Llangewydd Castle. You need to be careful going through the wood. 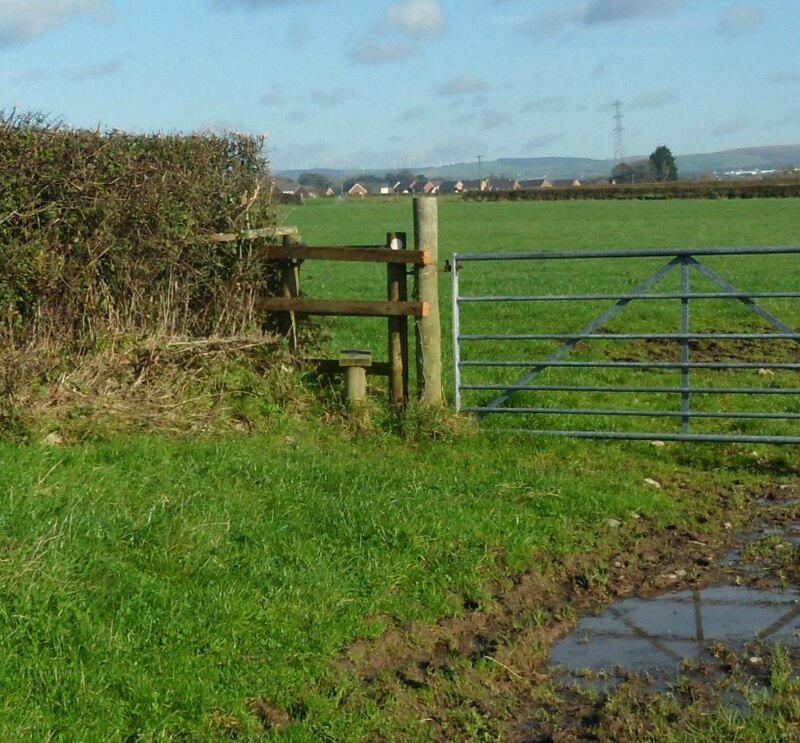 The right of way heads for a stile at the far right corner but most of the paths head for a gate in the south fence. 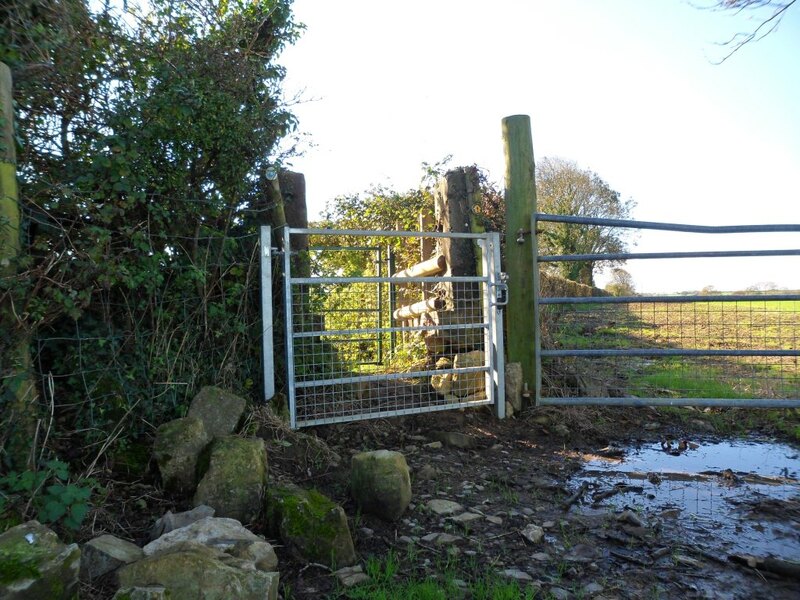 The stile gets you out on ‘Roger’s Lane’ – actually a fast and busy road to Laleston and not really suitable for walking. 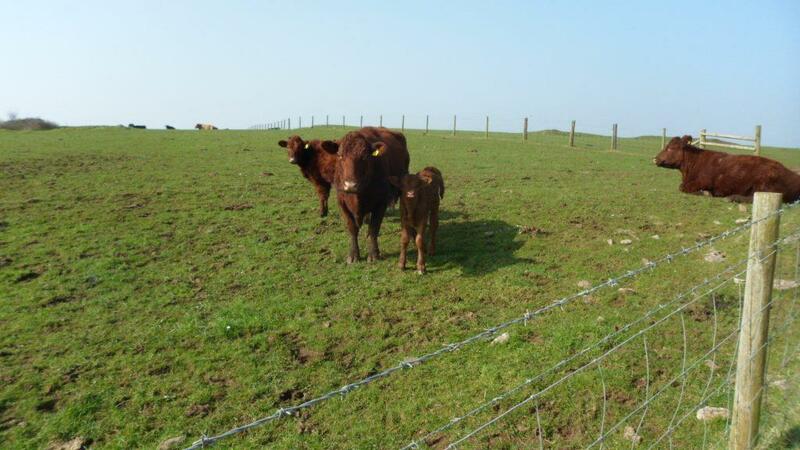 I thought it might be possible to take the side road west to Haregrove Farm (another of Margam’s granges) and swing back across the fields, but the walk along the road wasn’t very inspiring and the footpaths across the fields weren’t stiled or waymarked. It would need a lot of work for not much benefit. Part of the problem with the side roads is the amount of litter. 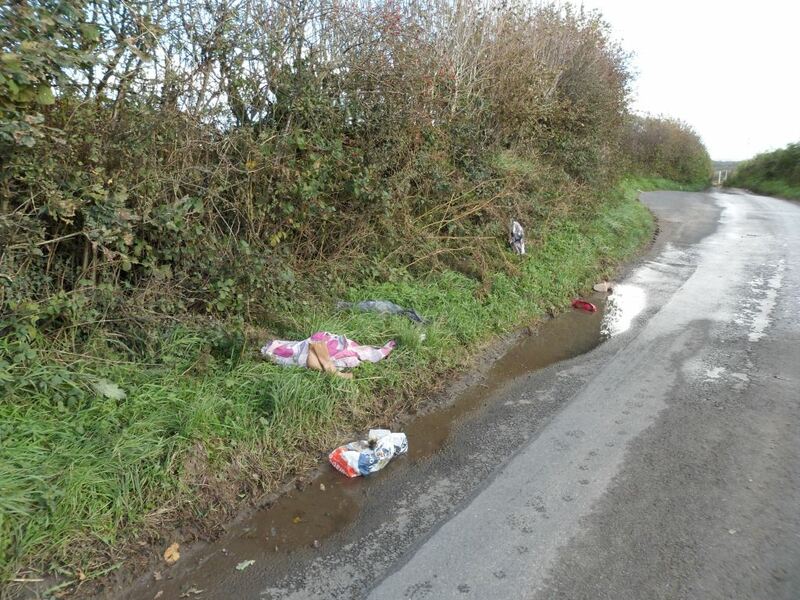 It’s a bit different from Cardiff: our lanes are full of rubbish but it’s mostly junk food rubbish. I’ve noticed when walking in the area in the past that the country round Bridgend has much more fly-tipping, builders’ rubbish and general domestic rubbish complete with black bin bags. This lot actually had a couple of pairs of shoes that could have gone to the charity shop. We have even on occasions been grateful for the rubbish. I remember my old friend Derek Williams making a plaited cable out of a disembowelled sofa in order to drag a car out of the mud on an unusually random field trip along the Ffordd y Gyfraith back in 1997. 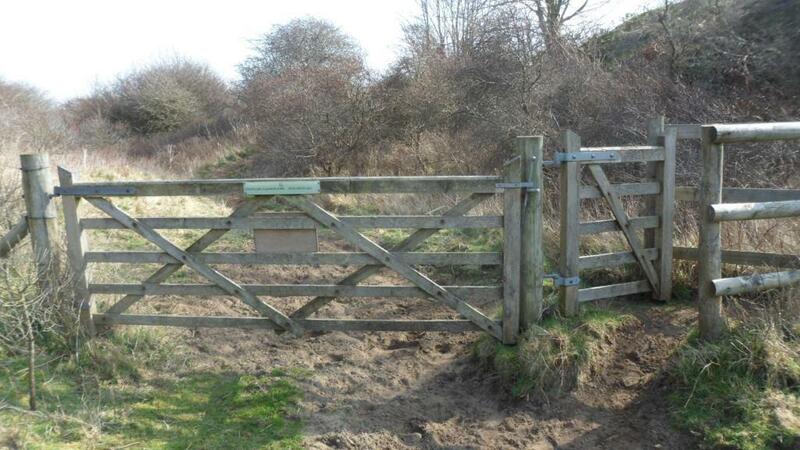 But generally it’s unsightly and puts visitors off. So my instinct is that the best thing to do at the junction with Roger’s Lane is to head back along the side road to Cae’rheneglwys and down the Ffordd y Gyfraith to 878 802 and follow the footpath (well gated and waymarked) across the fields to Laleston. about which I know nothing, but I’m sure my friends in the Welsh Holy Wells societies will have some ideas. From Well Street, take the footpath past the school and between the school grounds and the playing fields. This is clearly well walked but leads back to the bypass. This is the one really dangerous bit of the walk. The path should go straight across the road, but it’s near a blind bend and very difficult to cross. We may have to advise walkers to go along the verge to the left until they get a clear view, then walk back on the other side. The footpath to the south is intermittently waymarked and needs some maintenance but it’s easy to follow. 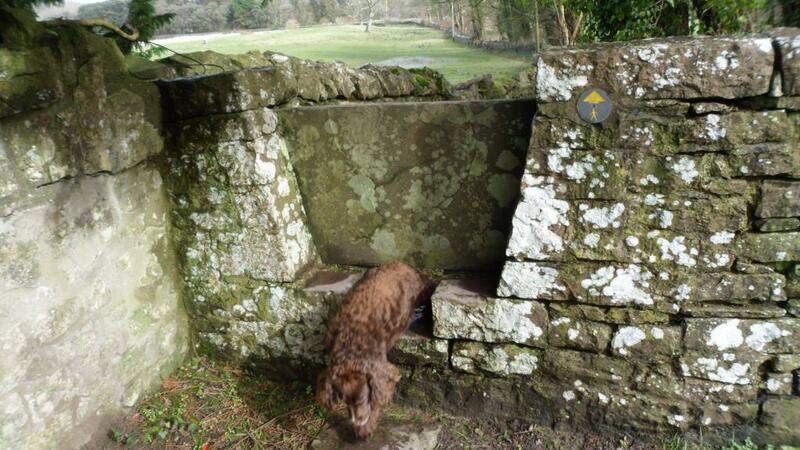 Cara liked this moated stile. to Candleston Castle. We need to find out whether the flooding on the road is the result of heavy rain, or if there is an alternative path. – really a fortified manor house, probably built in the fifteenth century. 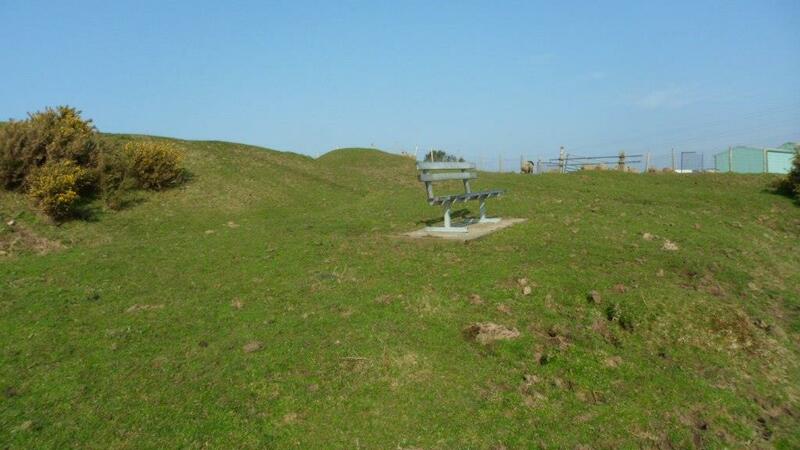 From the castle you can continue along the coast path to Porthcawl or return along the road to Merthyr Mawr and your start point. It was a good day’s walk – about eight miles along the best route, with plenty of interest on the way. 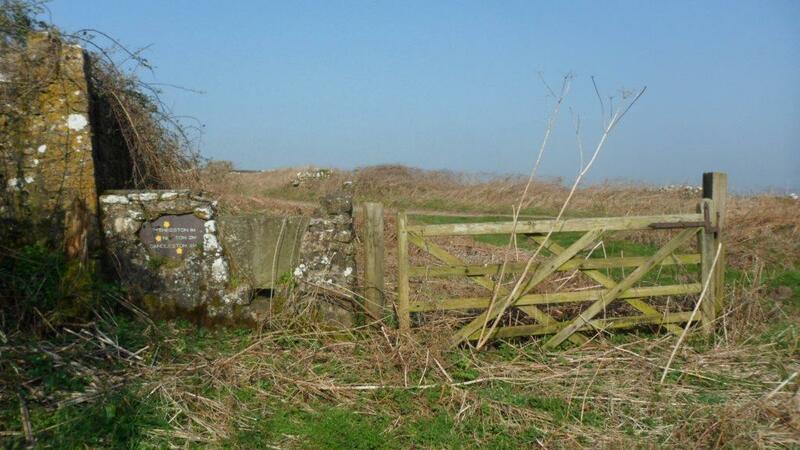 We need to do a bit of work on stiles and waymarks, write a guide leaflet and work on the interpretation boards. Watch this space.